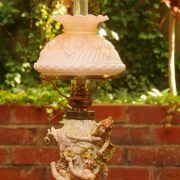 Bristol and Bath Antique Oil Lamps offer a full antique lamp restoration and repair services for all your old oil/kerosene and pressure lamps. Honest service with free quotes available on all oil/kerosene lamps left for inspection at our Greenwood location. 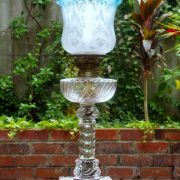 Bristol and Bath Antique Oil Lamps have the largest collection of restored Antique Oil Lamps, Oil Lamp Shades, Oil Lamp Glass Chimneys, Oil Lamp Wicks, Quality Lamp Oil, Burners, Shade Holders, Tripods and a large range of oil lamp parts available. 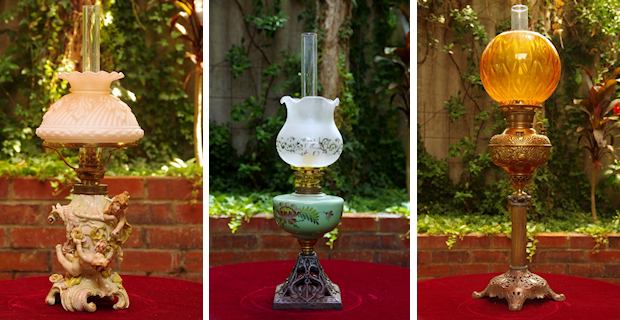 We have been collecting and restoring antique/old Oil/Kerosene Lamps for over 20 years. Bristol and Bath Antique Oil Lamps also stock Tilley and Coleman pressure lamps and replacement parts and offer a full restoration and repair service. 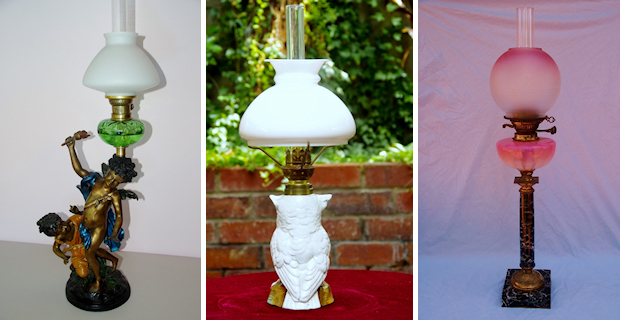 Old oil/kerosene lamps are constantly being restored to bring you a never ending variety of Victorian, Edwardian, Art Nouveau, Art Deco, Depression Glass and early 20th century oil/kerosene lamps.